In my neverending quest to cover every square inch of Tall Clover with anything that bears fruit, I stumbled across a remarkable site: Greenmantle Nursery of Humboldt, California. The nursery has been in business since 1983, and features some old homestead varieties from plant breeder Albert Etter (1872-1950). 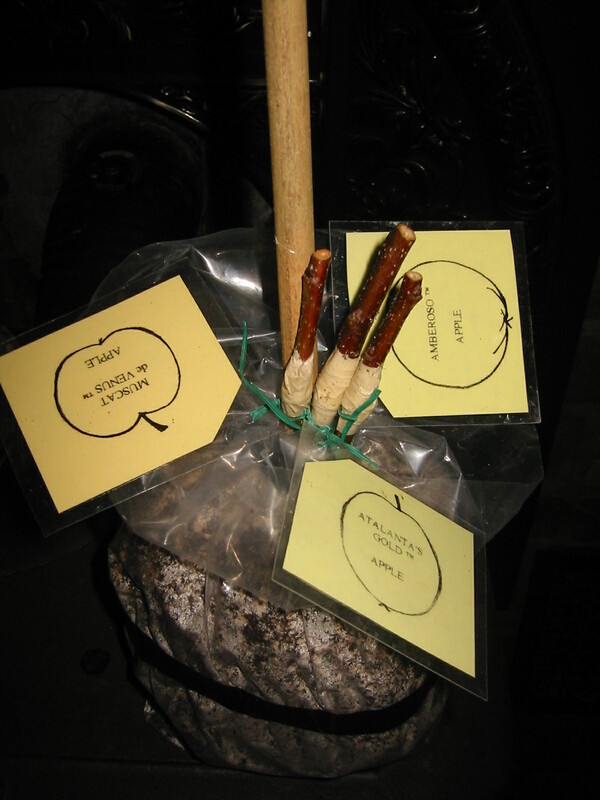 Today I received three small bench-grafts (on M111 rootstock) of his small dessert/cider apples that the nursery calls Sweetmeat Crab ™ I ordered Muscat de Venus™, Amberoso™, and Atalanta™. Update 2015: Amberoso produced a few small apples for the very first time, and I’d have to say it’s been worth the wait, as they were truly exceptional in flavor and texture. Sweet-sour flavorful treats, the diminutive gems are true to their description on the Greenmantle Nursery website: “The flesh has a pronounced amber tinge and is remarkably crisp and juicy, with pineapple aromatic overtones.” Hopefully next year the other Etter variety will produce apples and reveal itself as either Venus de Muscat or Atalanta. 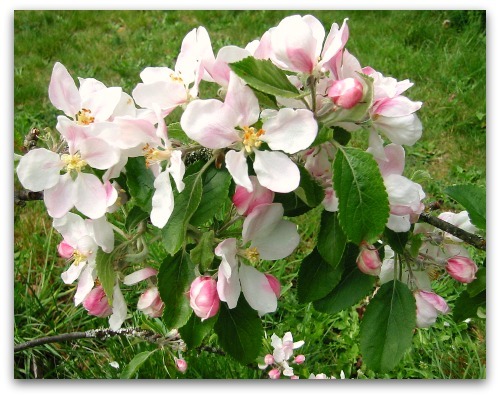 Next articleJam Up and Jelly Tight: Apple Jelly Is Out of Sight! Please bring a few of the Muscat de Venus apples in so that we can taste test. I love the idea of heirloom plants, and would like to create a very small garden in my very small yard and devote it to heirloom tomatoes and such. It may be a year a two, but I’m hopeful these little sticks will soon become big ‘ol fruit-bearing trees. These dying benchgrafts may not be your fault. Many people have bad luck with Greenmantle benchgrafts, including myself. I have extensive experience with grafting and growing benchgrafts. It’s not just our fault that they don’t do well. Thanks Steven, the two I have left are doing fine now but still about 5 feet tall with minimal lateral branches. I don’t usually fertilize my fruit trees, but I may have give it shot to encourage a little growth spurt now and then. I planted them in 2008 hope to get some apples next year.